Two Lunokhod vehicles were sent to the Moon’s surface, and remain there today. 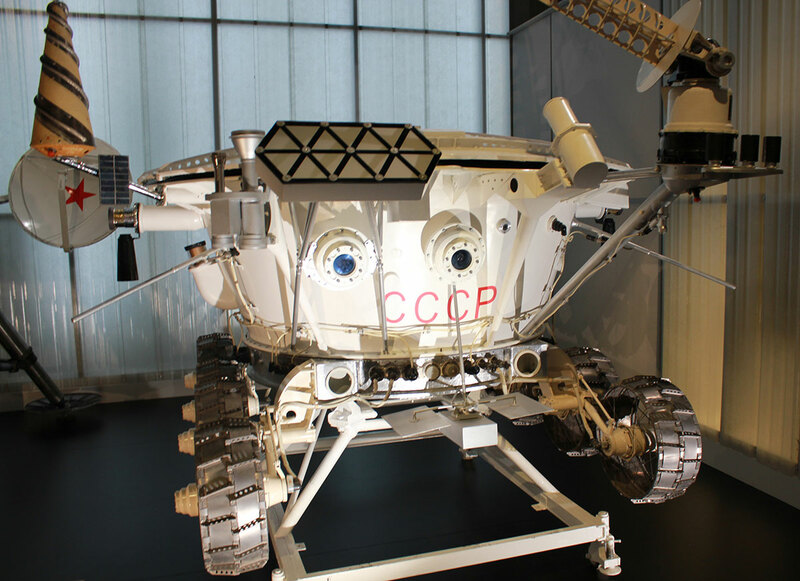 The Lunokhod vehicles were originally intended to support cosmonauts landing on the Moon. They were expected to land first, and act as a radio beacon and emergency buggy for travelling to a backup lunar lander. Their TV and photographic cameras recorded thousands of images, and instruments analysed the lunar environment. During their working life on the Moon both travelled over 50km, under the control of operators on Earth. This entry was posted in Science Museum. Bookmark the permalink.